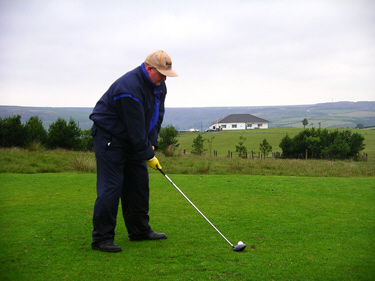 The clubhouse stands at 298m (975ft) above sea level and is subject to strong winds throughout the year. 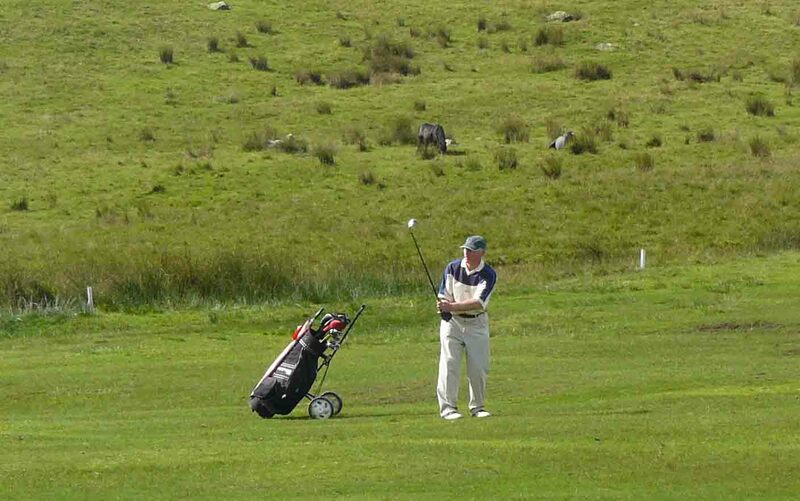 The subtleties of the course on Lobden have been a genuine golfing challenge for many years. Although the course has changed substantially over this time the essential ingredients have remained unchanged. Nestled high in the South Pennines, Lobden is an unforgiving track, exposed to persistent westerly winds, with rough a plenty. To play this course well will require an empathy with the style of golf appreciated and adopted by the grandfathers of the game. 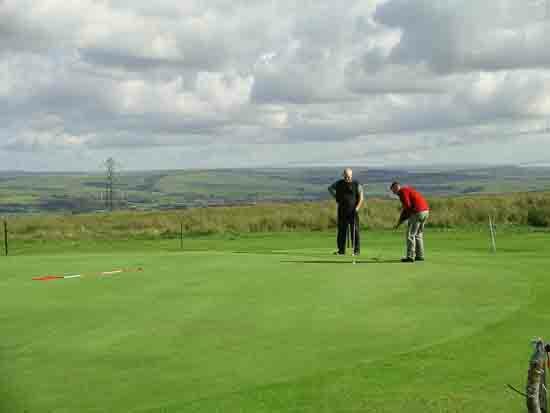 The highest point of the course is on Rushy Hill 315m (1025ft) from where tremendous views may be had over a number of counties. The hill is the last in it's particular chain, all to the south being lowland. 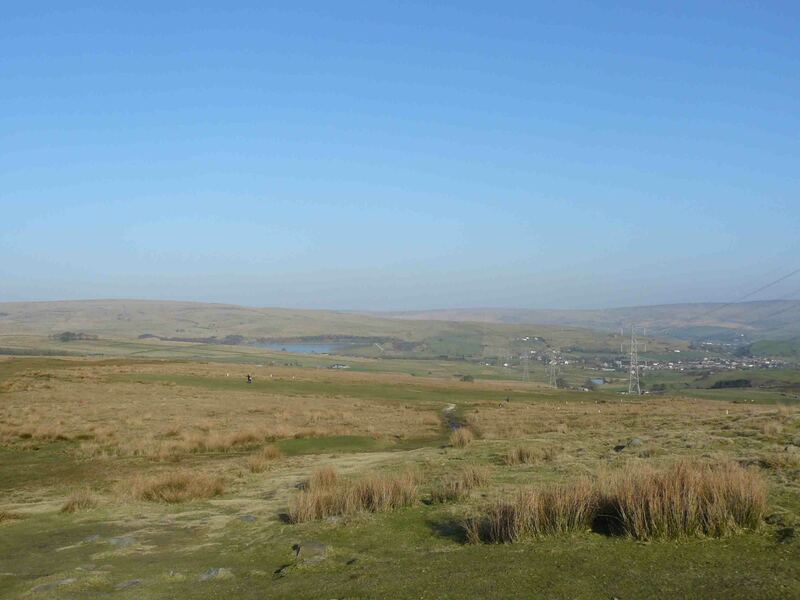 Looking south, the hills of the Peak District can be seen on most days, and on a very clear day it is said that you can expect to see Bleaklow a moorland area north of the Snake Pass, one of the bleakest areas in the Pennines. Bleaklow Hill reaches 633m (2060ft), Kinder Edge (Derbyshire), The Crich War Memorial on Crich Hill (Derbyshire), Shutlingsloe 506m (also known as the the Matterhorn of the Peak District), Helsby Tor (Cheshire) and the hills of Clwyd & Snowdonia National Park (Wales). The giant Jodrell Bank Telescope near Macclesfield on the edge of the Peak District can be seen, as can the aeroplanes going in and out of Manchester Airport, and the tallest residential building in Europe, the 47-storey Beetham Tower in Central Manchester can also be seen from the 6th tee. With the aid of binoculars you can pick out Manchester United's Football Ground at Old Trafford and Manchester City's ground, The City of Manchester Stadium. To the right of Old Trafford, if the sun is in the right place, the shining curved surfaces of the the Lowry building at Salford Quays can be seen. To the west you can see the 309m (1015 ft) high transmitter on the 456m (1498ft) Winter Hill near Bolton. To the right of this and closer is Knowl Hill 419m and Rooley Moor Road. To the east are the South Pennines, the A58 Littleborough to Halifax road snakes up the hillside to the White House Inn. Gritstone outcrops of Blackstone Edge can be seen where the Pennine Way follows the bleak Blackstone Edge Moor and further right to the communications mast at Windy Hill where the Pennine Way crosses the M62. 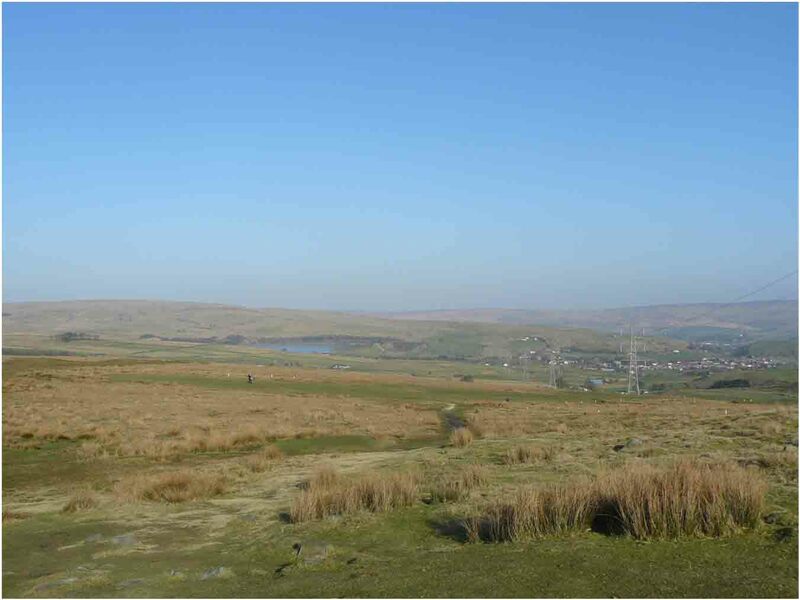 Further to the right high on the moors at 1,750 feat above sea level lies the Holme Moss radio transmitter near Holmfirth.